Oh so spongy and delicious.. 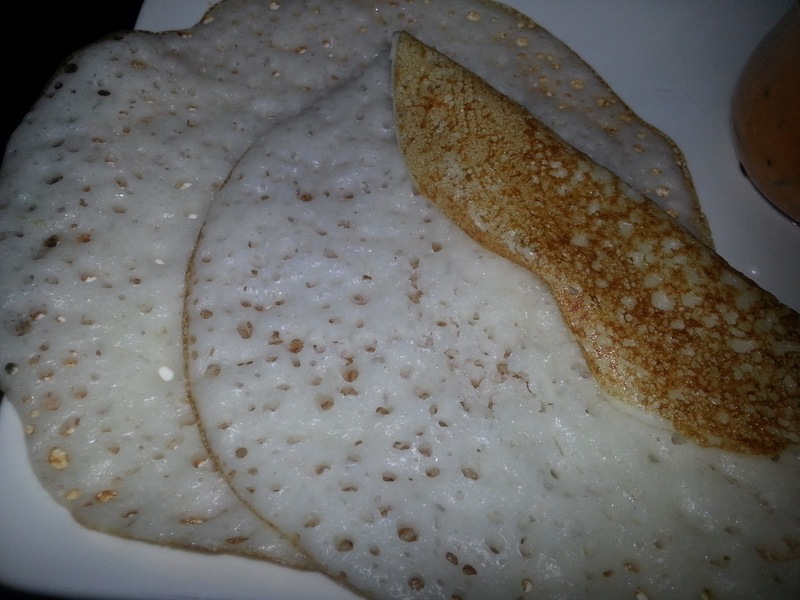 These dosas simply melt in your mouth. I made them with a simple yet tasty tomato chutney for dinner and they were a super hit. There are so many variations in the measurements used but I came up with this measurement ratio of my own. 1. Wash the rice and poha and drain all the water. 2. Soak the rice and poha with fenugreek seeds in the buttermilk for 8-10 hours. 3. The poha soaks quite a lot of buttermilk. 4. Add the rice and poha with the fenugreek seeds in a mixer retaining the buttermilk separately. 5. Add buttermilk little by little and grind to a smooth batter. If all the butter milk is over then add some extra buttermilk but do not add any water to grind the batter. 6. 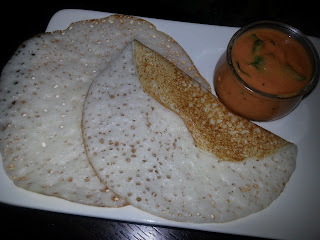 The batter should be a just a little thin than normal dosa batter consistency. 7. Add cooking soda and salt and mix well. Cover and keep it aside for 2 hours. 9. Mix the batter well and drop a ladle full on the tawa. It will spread on its own. 10. Sprinkle oil all over the dosa, cover and cook it for about 2 minutes till it is done. 11. You can flip it to the other side if desired.